Green polyethylene is made from ethane derived from sugarcane. The raw materials for green polyethylene are completely renewable and therefore CO2 neutral. GreenPolly offers the same strength and durability as conventional oil-based polyethylene but its use will significantly reduce the carbon footprint of your business. GreenPolly is suitable for food storage in industry as it is certified as food safe. At Dagöplast, we focus on our customers and delivering products and concepts that meet our customer’s needs. We aim at delivering a high quality that are in line with customer expectations. The environment is important to us and we want to be a part of creating a better environment for future generations. We do this by making products and concepts that promote sustainable development and improve the environment for future generations. Plastic is a product that is part of the modern lifestyle, it is hard to see a world without plastic even though it has some environmental challenges. Therefore, we must make sure to use more environmentally friendly plastic wherever possible. 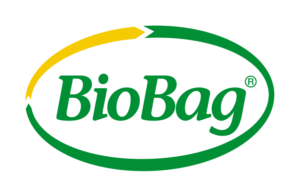 For example, it is better to use compostable bags for organic waste. It is also a great advantage to recycle as much plastic as possible as it minimizes the amount of newly produced plastic. We use sugar canes in the production of green polyethylene to avoid the use of oil and minimize CO2 emission. 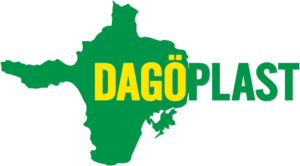 At Dagöplast, we take pride in producing both compostable plastic, recycled plastic and green polyethylene for waste management, retail, HORECA, industry and agriculture.